Choosing a genomic assay for cancer research is complicated by trade-offs. 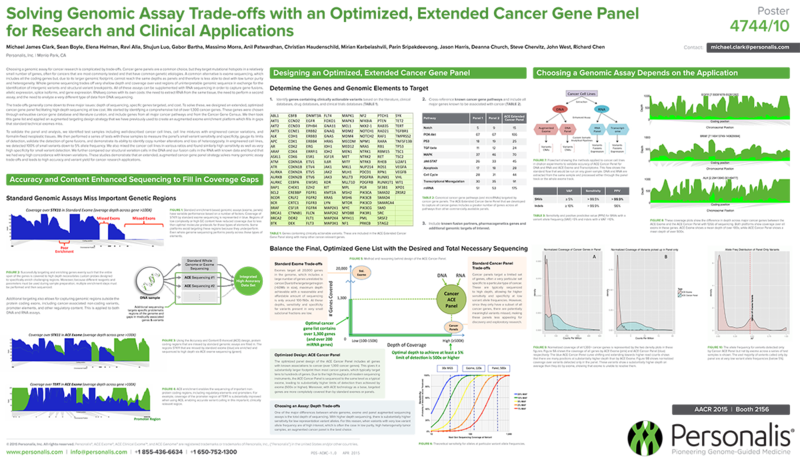 Cancer gene panels are a common choice, but they target mutational hotspots in a relatively small number of genes, often for cancers that are most commonly tested and that have common genetic etiologies. A common alternative is exome sequencing, which includes all the coding genes but, due to its larger genomic footprint, cannot reach the same depths as panels and therefore is less able to deal with low tumor purity and heterogeneity. Whole genome sequencing trades off very shallow depth and coverage over vast regions of uninterpretable genomic sequence in exchange for the identification of intergenic variants and structural variant breakpoints. All of these assays can be supplemented with RNA sequencing in order to capture gene fusions, allelic expression, splice isoforms, and gene expression. RNAseq comes with its own costs: the need to extract RNA from the same tissue, the need to perform a second assay, and the need to analyze a very different type of data from DNA sequencing.